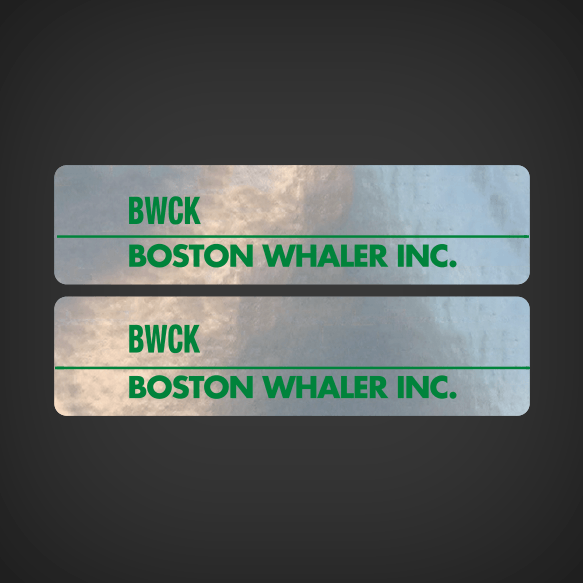 Boston Whaler INC. BWCK Serial Tag decal replica Sold by Set. Printed Over Silver Metallic Inks. Type in your Personal Serial number for the BWCK labels in the text below. Divide Serial number with a Space to seperate Bold numbers from non Bolded.